and just a click away. Go Beyond the Usual Suspects! Most organizations brainstorm. The brainstormers, however, tend to be the same old "usual suspects" -- the self-declared creatives, content experts, decision makers, stakeholders, and senior officers. Brilliance can come from anywhere in an organization. That is, IF you create opportunities for unusual suspects to participate in your ideation process -- and that includes interns, new hires, front-line workers, geeks, freaks, customers, kids, and the guy who delivers lunch to your brainstorming sessions. Explained Zen Master, Shunryu Suzuki: "In the beginner's mind there are many possibilities; in the expert's mind there are few." Joel Rubinson, writing for Fast Company's blog, has some insightful things to say about this. 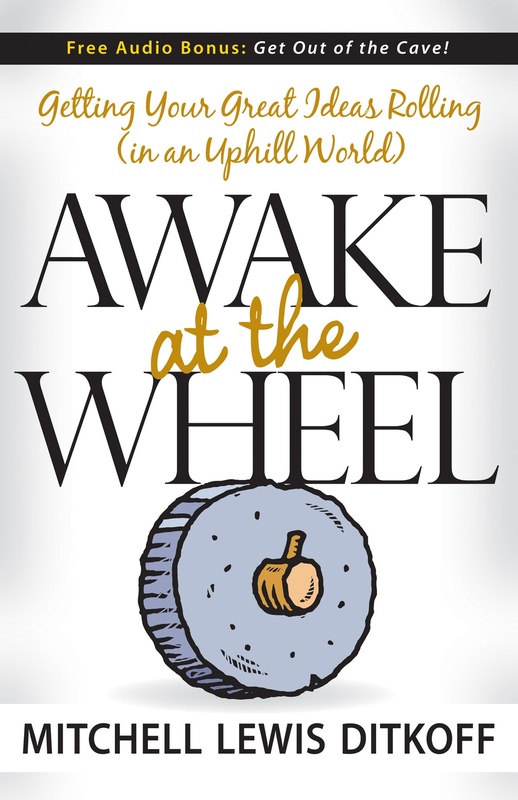 Awake at the Wheel Lives! "I don't usually post reviews of my book on this blog (seems too self-serving), but I couldn't resist with this one. It was just posted on Amazon by Paul Roth and captures a big piece of the book's DNA. "This book has allowed me to forgive myself for my obsession with all of the crazy ideas I have and have had over the years. Many of my crazy ideas got produced by someone other than me. Since reading this book about a year ago, I have given myself full permission to enjoy my ideas and fully stand by them. Now they are becoming the reality that always seemed to elude me. This book has been a gift that has unlocked a door within me that I will never close again." For more, join my Facebook Group.